Buy Stop in the Name of Pants! Use Rewards for Stop in the Name of Pants! She danced in her nuddy pants. She was shocked by furry shorts. She wore really big knickers. 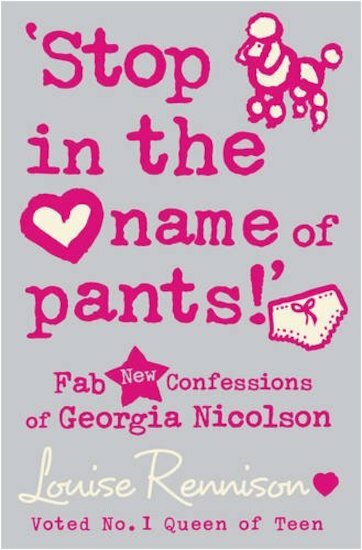 And now Georgia Nicolson is back! Sound the Cosmic Horn for this teen drama queen’s ninth naughty confession! Now that she has finally won over gorgey Masimo the Italian Stallion, Georgia’s old friend and lip-nibbling partner Dave the Laugh has popped up yet again. Will she go to Pizza-a-gogo land to visit dreamy Masimo? Or could her perfect boy be closer than she thinks? looks awome cause i love the movie so i wonder if the books r any good? I abserloutly LOVED THE BOOK!